Unfortunately, some would-be homeschoolers are intimidated by legal authorities, or they think they don’t want to deal with the legal aspect of homeschooling. But with a little strategic thought and key resources, you can have your legal bases covered and move forward with homeschooling. Homeschooling laws differ from state to state, and sometimes also from county to county within a state. 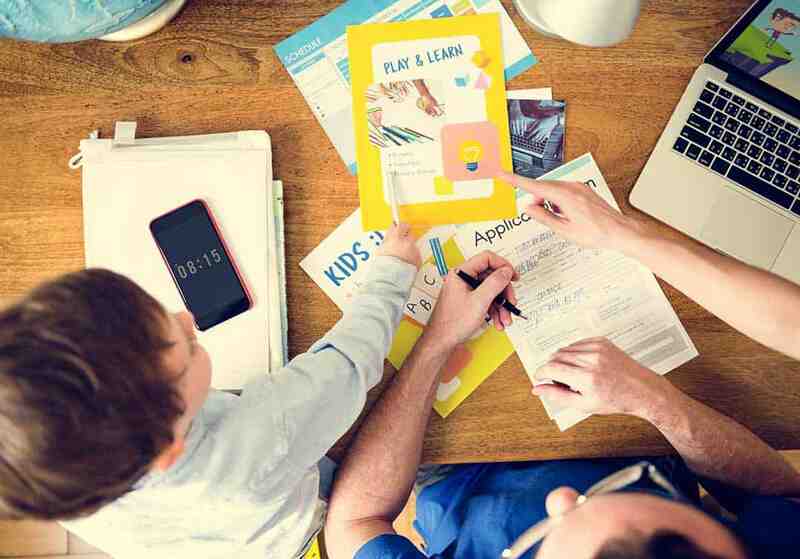 This article is not extensive enough to outline every state’s requirements, but here are some tips and things you need to know about homeschool laws. First, it’s a good idea to recognize that homeschooling is, in fact, legal in every state. Some people are concerned that it might be illegal, or somehow they will be branded as a “misfit” and regarded suspiciously. But homeschooling is not against any federal law, and while some states have fairly tight regulations, those regulations are not so restrictive as to outlaw homeschooling entirely. If you want to find out the details of your state’s and county’s homeschool laws, a good place to start is to look at the laws in your state. Do not rely on the school system to tell you how to proceed. Many people within the system itself do not even know or understand the homeschooling laws. For example, in New York, I was once told I had to register my child. I found out years later they were doing that so they receive the money by adding more children to their federal numbers. My district was audited twice in 4 years for unscrupulous practices. Some states have a board or panel that reviews your child’s academic standing and gives approval for you to homeschool. Other states just require that you notify particular authorities (usually the head of the local school board or department of education) in writing (a letter of intent). Your state will most likely require that you let someone in authority know what you’re planning to do; you just have to find out from our local board of education who, exactly, is the individual(s) you need to contact. Every year, some sort of academic assessment is usually required in most states. This might take the form of a portfolio review, or your child may be required to submit to standardized testing. Some states offer a choice. This is the sort of information that your board of education will probably include in their initial information package or on their website. I have found that Seton Homeschool has a testing service that sells and processes the tests I needed for my state. Find out if there is a local homeschool group – usually affiliated with your county, so you could type “[My County, My State, homeschool]” into your search engine. These groups are generally well-organized, and often have links to helpful templates (such as letter of intent forms), names, addresses, local laws, and so forth. Some states may require that you use the public school’s curriculum in your homeschool. Others offer it as a choice. Still others do not have any curriculum requirements and accept vague answers to the curriculum question (such as “supplemental materials”). It is a good idea to be up to date on what sort of curriculum requirements exist in your area. And finally, one of the best resources for finding out about your local laws is other homeschoolers. Experienced home educators can give you the “inside scoop” on various procedures, thus saving you a lot of time and trouble.